Frozen Yoghurt is returning to the Brisbane dessert scene with an explosion of different shops offering a similar concept. 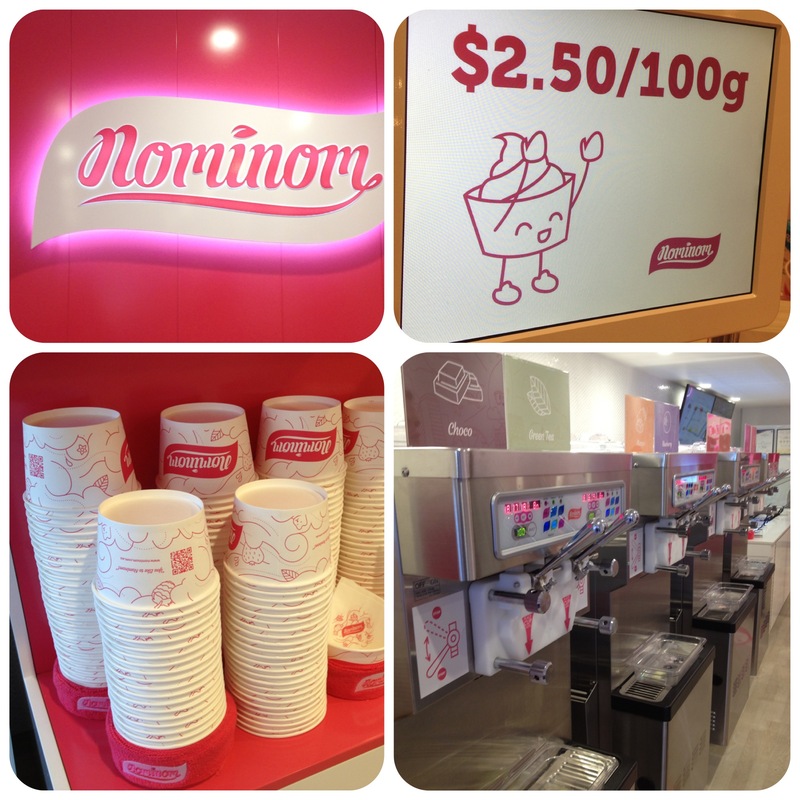 Nominom is another frozen yoghurt shop using the model of self serve, weigh and pay. Recently open at Elizabeth Street in the city, D had visited a few time and raved about it. Yesterday as we were driving past the city after lunch, he finally took me there for dessert. 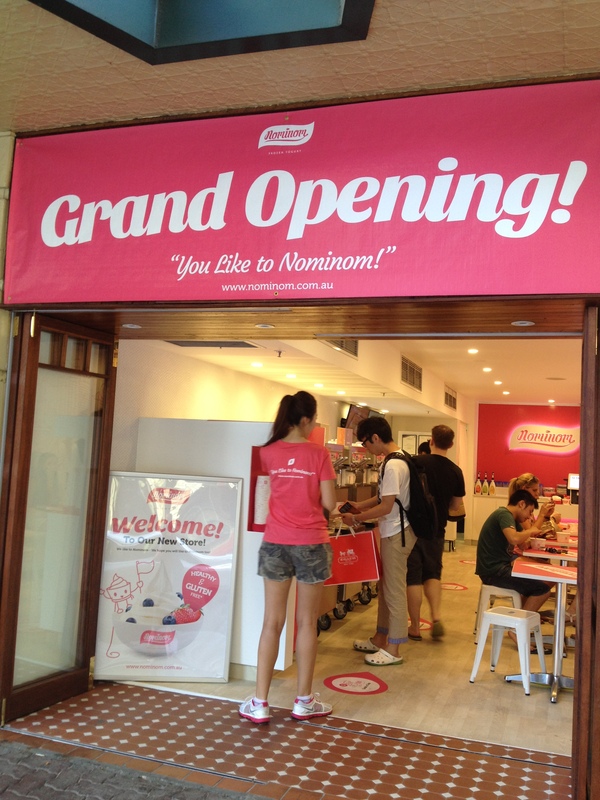 Nominom is very similar to BerryMe in Kelvin Grove, only that it offers a wider range of flavours and toppings. Grab a cup on your way in. Choose any flavour combination you like from what’s currently available (original, strawberry, mango, pomegranate, blueberry, peach, taro, green tea, coffee and chocolate). 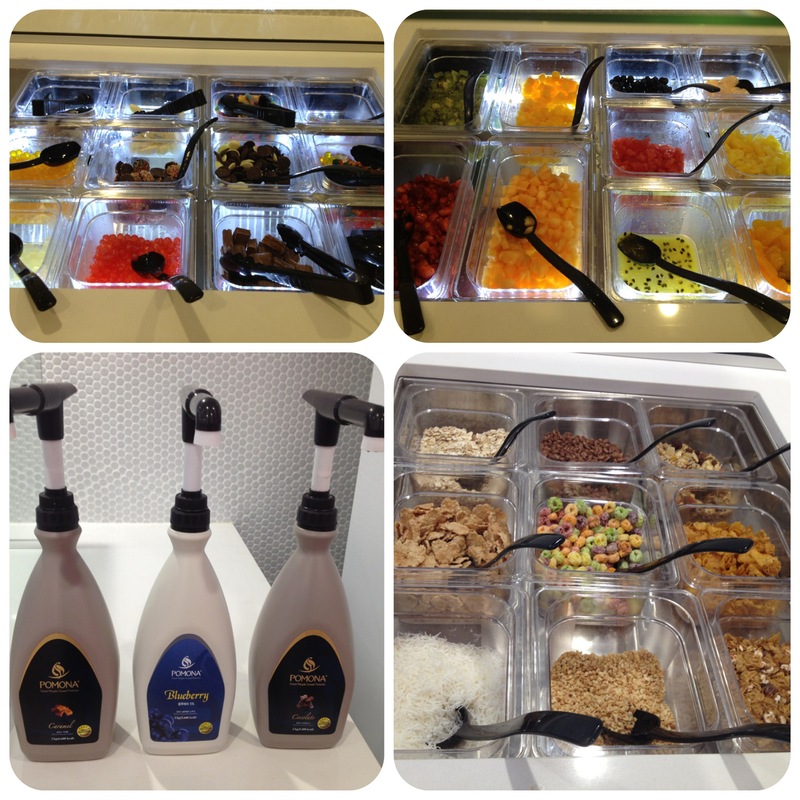 Add any topping you like from the range of fruit and berries, cereals, lollies or syrups. Bring the cup to the counter to weigh and pay. There is always the danger of overfilling your cup as there are so many delicious flavours to choose from. 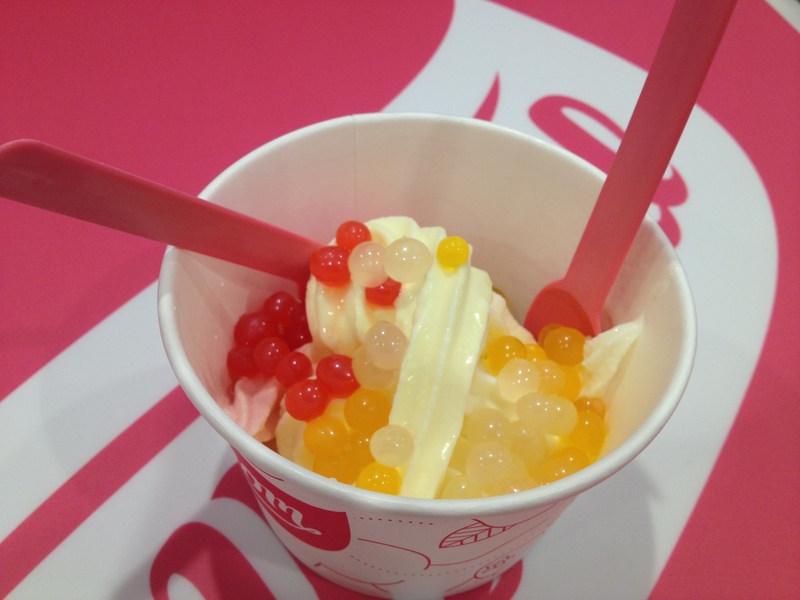 Thankfully, it is moderately healthy apart from some of the sweet toppings, so we are quite safe. We had the combo of mango, strawberry and peach with flavoured pearls, or what they call ‘juice bursts’. We tried all 3 flavours of juice burst – strawberry, mango and lychee and loved all of it. Unlike pearls, they do not have a chewy texture. They burst in your mouth as you bite into it. Like its name suggests, Nominom is really nominom…yummy.